Obwohl es nun auch der dritte Test aus der Serie der mühseligen Verfahren zur Cushing-Diagnose bestätigt hat, kann ich es immer noch nicht ganz realisieren, dass Marley nun auch noch Opfer dieser schrecklichen Krankheit geworden sein soll. Die Cushing-Krankheit war für mich immer schon eines der großen Schreckgespenster, bestätigt leider auch durch das traurige Schicksal von Monique’s geliebter Jewel, die sie vergangenen Februar gehen lassen musste. es tut mir sehr leid von marley`s krankheit zu erfahren. wünsche euch viel kraft und trotz allem noch viele positive und schöne momente in eurem gemeinsamen leben. schon wieder so ein extremer Schicksalsschlag den du verkraften musst! Kraft, das hast du sicherlich schon fast keine mehr nach all den negativen Erfahrungen der letzten Jahre. Jeder wünscht sich seinen geliebten Hund gesund älter werden zu sehen, doch meistens ist diese “Älter werden” von Wewehchen begleitet, doch dass es eine so schreckliche Krankheit bei Marley sein muss, das kann man einfach nicht glauben. Es tut mir so leid für Marley und dich, fühl dich von mir umarmt, ich denke an euch! Es tut mir sehr leid von Marleys Krankheit zu lesen. Ich wünsche euch ganz viel Kraft und drücke fest die Daumen, dass es ihm noch lange gut geht. I was so sorry to hear about Marley’s diagnosis. Cushings unfortunately occurs more and more often, and is very often misdiagnosed by dog owners and vets. It is a good thing that you persisted to have all the examinations done, because now you will be able to treat Marley, in order to make life for him as comfortable as is possible. I think of you often. 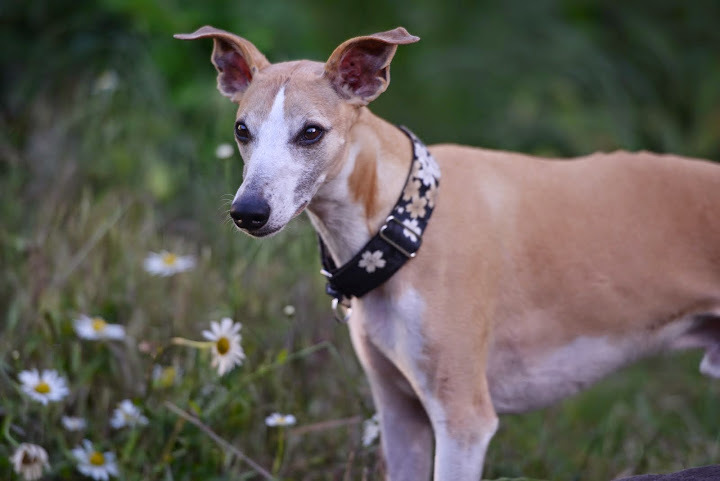 By running my Cushings blog in the Netherlands, and by working with the Cushing specialist in our country, I have learnt a lot about the problem, and also I have learnt that Cushings occurs more frequently than the statistics claim. I advise you to visit a holistic vet with Marley, who applies osteopathy and herbal support etc. My holistic vet was trained as a regular vet and then specialised in holistic treatments. She claims that Cushings is triggered by a traumatic event or by a life under continuous stress factors. The symptoms such as the tumor on the pituary gland and damaged adrenal gland – causing Cusings – are a result of the stress, not the cause of Cushings, according to her. I would not be surprised if she was right. 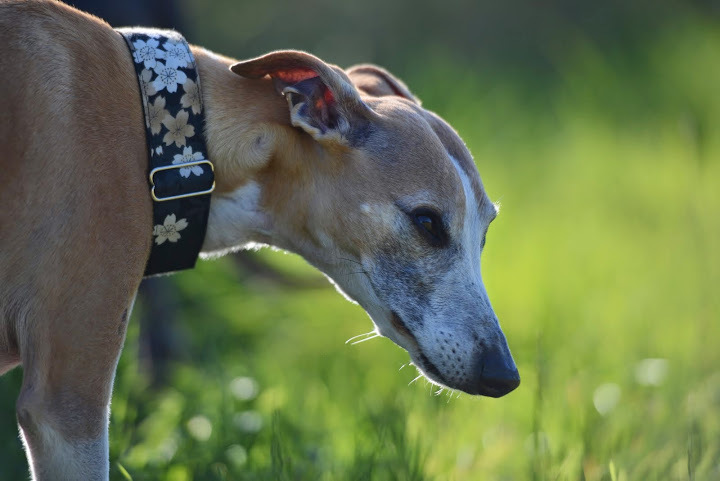 Most owners can think back a few years and find a cause for stress in their sick dog. I surely can, with Jewel. Food for thought. My feeling is that it is a combination of a stressful event and a predisposition for Cushings. Just like any human family also dog families have predispositions for illnesses such as heart disease etc. It does not mean that every family member gets it, it needs to be triggered. A lot of words, but they do not change Marley’s condition. But you were quite early discovering his problem. Let us hope that he does well on the Vetoryl, and will be with you for many more years to come. I personally know examples of dogs who do well on Vetoryl for 6 years and more. A big hug from us in the Netherlands!